Lately the kiddo has been trying to assert herself over the dinner table. I tell you not much compares to the parental moment there. After nine hours of dealing with impossible deadlines and technical details at work, and an hour in traffic, I arrive home to mouths waiting to be fed with just enough time to set down the briefcase and pick up the spatula. "Now, you did not even taste it, so how do you know?" There are a few choice items running through my mind. You'll sit down and eat it and like it, cause after a long day, that's all you get. Fine, go hungry. But, I worked so hard to make something you would like! "Okay," I say. "You don't have to eat it if you try it and do not like it. But you should try it. That way I will know what you like, what you don't, and be able to fix things that work for us all." Yeah, sometimes you win. And sometimes, the kid just gets to be a little hungry leaving the table. Hard-headed and just a little bit hungry. First, congrats to Foodie32, winner of "How to Drink." Surely this is a valid pursuit during the pit of winter here. Think hot toddy. For the rest of us, we hit the New Year all full of good intentions and resolutions, new diets and exercise regimen only to slam headlong into February's contrived holiday centered on chocolate. What cruel mockery is this when we are already down and longing for spring? I say, pop a cork, toast that hairy little bugger who predicts six more weeks of bitter cold, and maybe consider what wine pairing would go best with GROUNDHOG CONFIT. So, I am reading about passion this month. Passion for wine, passion for food. Two volumes by Deirdre Heekin. The first is Libation and is my giveaway this month. 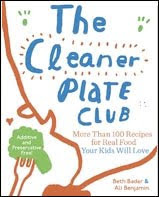 The book covers personal essays about Heekin's self-taught path to develop her sense of smell and palate to become the sommalier at Osteria Pane e Salute, the restaurant and wine bar she co-owns with chef husband, Caleb Barber. It offers an informative way to learn about wine through an easy-to-read narrative that is far less dry than a heavily-oaked Cabernet. 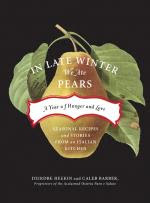 Heekin's second book, In Late Winter We Ate Pears, covers her and her chef husband's year of living in Italy. Part memoir, part food writing and part recipe book, the text serves up 80 recipes by season. Recipes include items like Red Snapper with Fennel Sauce and Fresh Figs with Balsamic and Mint. 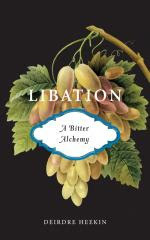 If you would like to win yourself my copy of Libation, just leave a comment below here. I'll do a random number thing and the winner will be drawn from all who comment (Except spam comments. Because I remove those with a vengeance.). Books courtesy of Chelsea Green Publishing.